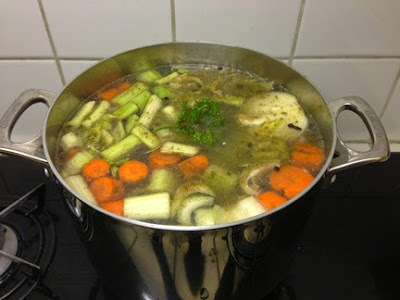 Homemade chicken soup is delicious any time of year but I can't imagine not serving it to my family with matzo balls for the holiday of Passover which starts tonight at sundown. If you're not familiar with them matzah balls are a traditional Jewish European boiled dumpling made with matzah meal, eggs and oil and you don't have to be a Jew to enjoy them. 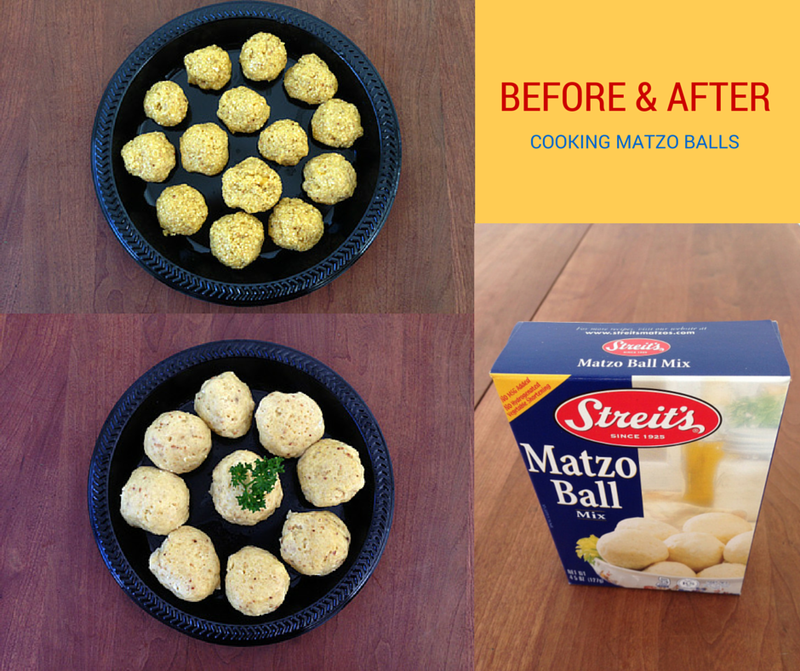 Try this easy-to-make chicken soup made from scratch in just 3 steps, along with super simple Mazot Balls from a store-bought mix such as Streit's or Manischewitz available on the kosher aisle at markets, to enjoy the best Matzo Ball Soup ever year-round. FTC Disclosure: I did not receive any payment or other compensation associated with this post. See complete FTC Disclosure information that appears at the bottom of MommyBlogExpert's home page and at the bottom of every individual post on this blog, including this one. That looks so good. I've never had matzah ball soup before, but I've heard it's delicious. I love matzah ball soup. I had it for the first time a couple of years ago. I've been eating it ever since. Looks delicious! Especially for the chilly weather ahead. My sisters rave about Matzo Ball Soup! But I've never had it before. It sounds quite delicious. You recipe sounds fantastic. I love soup and this looks delicious! Can't wait to try it. This soup looks awesome! I can't wait to make it. I have never had this soup before but have heard about it often. I can't wait to try your recipe. I have actually never had this before. But it looks great! Will have to try it! This is a great recipe! I love Passover for all the foods we get to make that we usually do not! I'll have to try your recipe this year! Yum! I have always wanted to try this and I think this recipe iseasy enough I can do it ,thanks for sharing! 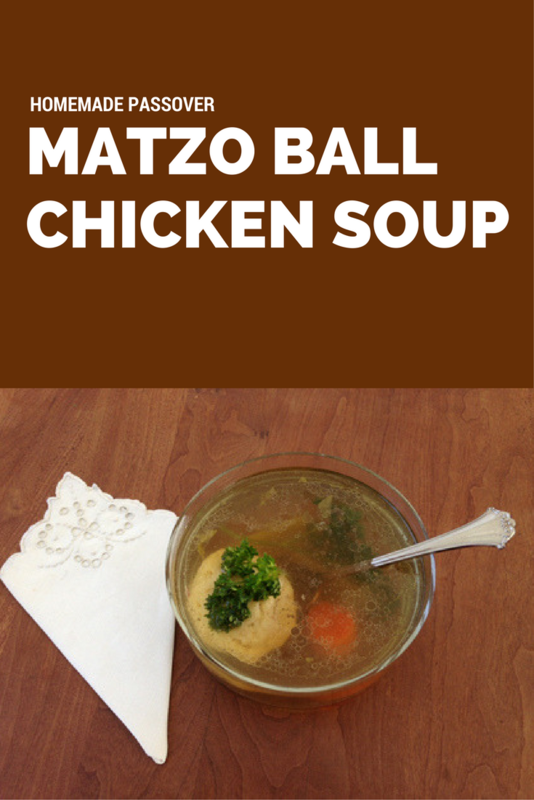 I'd love to try Matzo balls with chicken soup for the first time. I remember my mom talking about them but I had no idea what they were. They do sound good! I can almost smell that broth through my laptop. It looks so good and just what I need right now! I've never had chicken matzah ball soup before. It looks delicious and I love the added celery. This sounds really good. I have never had Matzo Balls, but I would be willing to try them. I have never tried Matzah Ball soup, but I would love to try it. It sounds so good. Matzah ball soup is a passover favorite in my family! Thanks for the recipe! You know, it's strange but I have never had this soup before. I think it looks delicious and your recipe would be easy to execute. I imagine it to taste like chicken and dumplings? I have never tried Matzo ball soup but have seen the ingredients in the stores. This looks really yummy! I have never made Matzah ball soup before. This looks like a delicious and easy recipe to try. I bet it will be a big hit. This sounds delicious! I would love to make it sometime soon. It's the perfect time of year for soup! That looks so delicious. I can't wait to make this for my family.